Hindcon Chemicals Ltd incorporated in 2007. 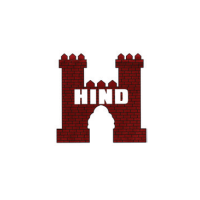 Hindcon Chemicals is manufacturer, designer and marketer of readymade garments. They have brand names like 'Monteil & Munero', 'Monteil' and 'Calgari'. Their product range includes casual wear for men and women. The company has 18 store/ outlets located in cities like Delhi, Uttar Pradesh and Haryana. Hindcon Chemicals ipo is starting from 31 January and ends on 06 February. The price band is around Rs.10 with 10000 market lot. The ipo size is around 7.73 crore rupees. Hindcon's issue is at 6 PE against 30 PE of the Industry. Must apply for short/ medium / long term gain.